W2 Instructions Can be a Little Confusing - Hopefully This Blog Helps! We all know them—the sarcastic people who, even when they’re being serious, have a way of saying things that keep us from fully understanding the words that come out of their mouth. Similarly, filing our taxes can leave us feeling as if we have a massive case of what-the-heck (WTH). Taxes are serious business, but many have a difficult time understanding them. When you ask a spouse for help, you’ll learn WTH is also contagious. Therefore, when we get that envelope stamped “IMPORTANT TAX RETURN DOCUMENT ENCLOSED,” we know it must be that sarcastic piece of paper we never fully understand – the W-2. While we may not be able to help you interpret your sarcastic friend’s words (does she really like my shirt, or was that sarcasm?! ), this blog will help with that sarcastic paper! If you’re having difficulty understanding your W-2, we are here to help in that department. Get your learn on and take some of the guesswork out of W2 instructions! Read on to find some helpful instructions that will assist you in reading between the W-2 lines. Before we get into the components of your W-2 form, think back to all those paychecks you received over the past year. Remember that money withheld from them? Even though it may have felt like your deductions made money disappeared into thin air, that money actually went somewhere! The fringe benefits are clear enough – you know some money went toward your medical and dental insurance, and perhaps some went to a 401k contribution. So, what about the other funds? Where did the taxes go? Here’s where the pieces of W2 instructions begin to fit together. Your W-2 form shows tax withholdings throughout the year, separated by tax type. You can think of the tax withholding like a boomerang – you see the amount fly away from your paycheck, but it eventually shows up again on your W-2 form! If you have your W-2 form sitting in front of you right now, it’ll be helpful to follow along through the boxes. Does it bother anyone else that the W-2 form isn’t in perfect numerical order with nice neat rows and columns? Yeah, it bothers me, too. Although the boxes are a little discombobulated, we’re still going to explain them in numerical order. Keep in mind that the forms may look different. For example, many will look like the example in red, while others may look closer to the example further below. While they may look different, rest assured they contain the same information! One of the most confusing boxes for many people is that very first box—Box 1. You might expect the W-2 would show your total gross wages earned for the year, but that’s not always the case. To clarify, this form isn’t about how much you earned over the year. It’s about how much of your earned income was taxable. So while your actual annual salary might be $50,000, you could see a lower number on the form, due to any pre-tax deductions you might have had over the past year (401k, health insurance, etc.). 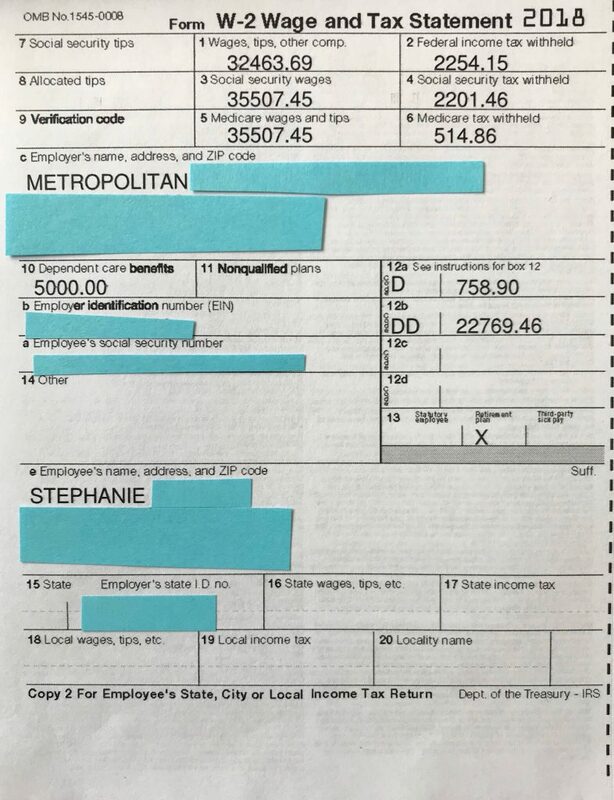 Box 1 shows your total taxable wages or salary. 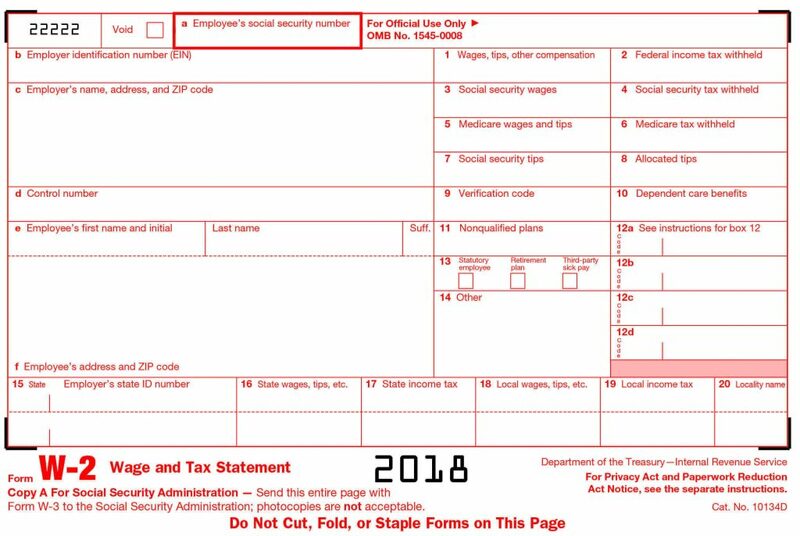 This box is the elusive Social Security tax. Yes, the one that millennials watch begrudgingly as money trickles out of their paychecks, like a flaky lover using them, destined to ghost right out of the relationship. This box pertains to the amount of your wages subject to the Social Security tax. Keep in mind that as of 2019, the government can only assess $132,900 for taxation. After your Social Security tax assessment, you’ll see the withheld amount reported in Box 4. This amount should represent 6.2% of your taxable income. Therefore, due to the wage limit, the amount should not be more than $8,239.80. This box will show you how much of your wages are subject to the Medicare tax. There is no limit for taxability here. This box will show wages withheld for Medicare. Now, this amount should represent 1.45% of your taxable wages. However, it is possible for this amount to be higher, depending on your earned wages and filing status. You will want to check out the IRS website for additional information to make sure you are not subject to the additional tax. If you report any earned tips to your employer, the total tip amount appears in this box. If you did not receive any tips or did not report any (tsk, tsk), then this box will be empty. For the sake of this blog and not getting yourself into a pickle, we’ll just assume you reported all tips! This Box will contain an amount if your employer allocated any tips to you. If you see an amount in this box, make sure you include it on your 1040. If you have an amount in this box, you must calculate the Social Security and Medicare taxes and complete a Form 4137. This box is no longer used (the provision has since been phased out), so don’t even bother worrying about it—it should be empty. 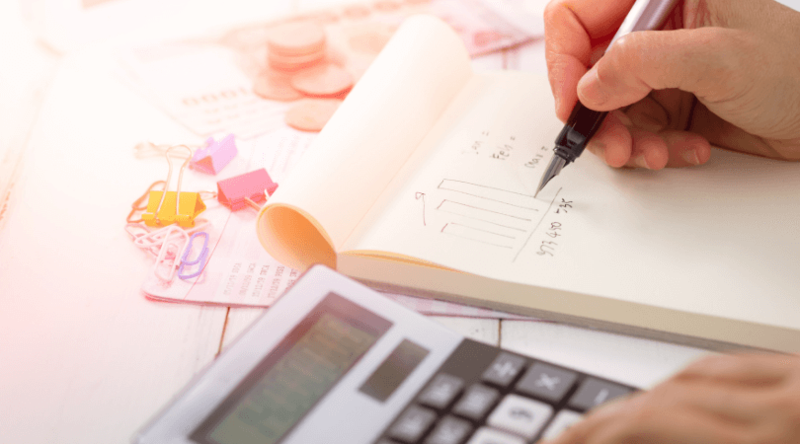 As more and more people are learning the benefit of contributing to various pre-tax accounts, this box is increasingly likely to be filled on the W-2 form. Box 10 shows the amount reimbursed for dependent care expenses through the dependent care flexible spending account. This box can also give the value of services provided for dependent care if provided by the employer. Anything over $5,000 in this box should be reported as taxable wages (in boxes 1, 3, and 5 on the W-2 form). In contrast, anything under $5,000 is not taxable for FIT or FICA. Does your employer provide a non-qualified deferred compensation plan or a non-government Section 457 pension plan? If so, you’ll see disbursement amounts in Box 11. You’ll also notice the amount included in Box 1 as part of your taxable wages. Deferred compensation and other compensation (including pension plans, retirement plans, and employee stock options) are reported in Box 12. Although there are various parts to this box (Box 12a-12d), none, one, or all may contain information. It depends upon whether or not you received any kind of deferred compensation. This section contains three boxes that an employer may (or may not) have checked. 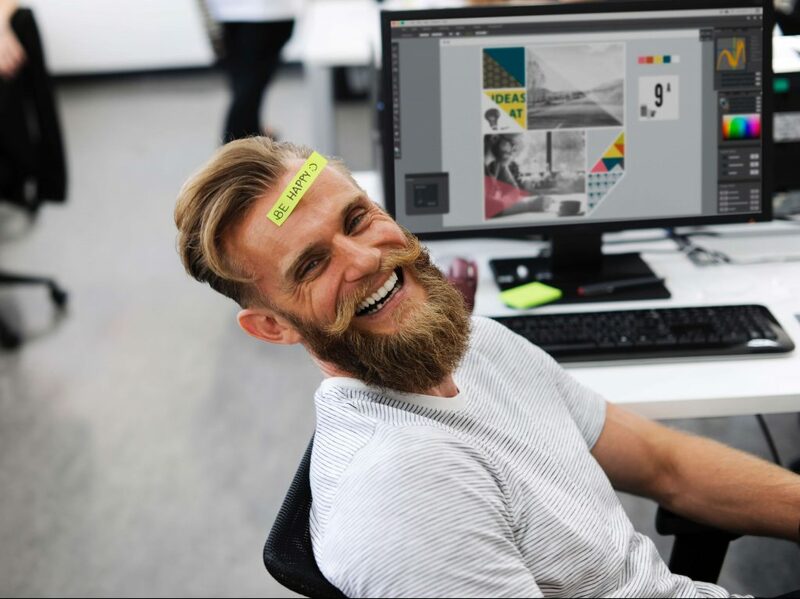 The first box is the Statutory Employee box, which simply means that your employer considers you as an independent contractor and treats you as an employee. This is a very specific IRS category, so make sure you are in fact a statutory employee and meet all three of the conditions. The second box is the retirement plan box. This one will contain a check mark if you’re a statutory employee with a retirement plan through your employer. The third box would contain a check if you received third-party sick pay through the employer. If you’re not a statutory employee, then none of these will be checked. Additional tax information will be reported in this box. Things like after-tax retirement contributions and tuition assistance paid by your employer would be considered for additional tax information. Depending on state and local taxes, your employer might report those amounts in Box 14, as well. Your employer’s state and state tax ID number are listed in Box 15. If the employer employs you in multiple states, those states and ID numbers should be listed in the additional space provided. This box shows the amount of taxable wages earned in your employer’s state. Similarly to Box 15, if you earned wages in multiple states for the same employer, these taxable wages are listed in the additional space provided. The total amount of state income taxes withheld from your paycheck. Taxable wages for local, city, and other state income taxes. If you have wages subject to withholding tax in more than two states, you should receive an additional W-2. Local, city and other state income taxes withheld from your paycheck appear in Box 19. If any clarification is needed regarding the details of the local, city, or additional state income taxes, that clarification will appear in Box 20. If you’ve already received your W-2, you might wonder why there are multiple copies of the same form. The reason is, you may need to file with multiple reporting agencies (federal, state, etc. ), so you’d use each copy accordingly. Of course, there will also be a copy available for you to keep for your own records, which you should keep on file for at least 3 years. 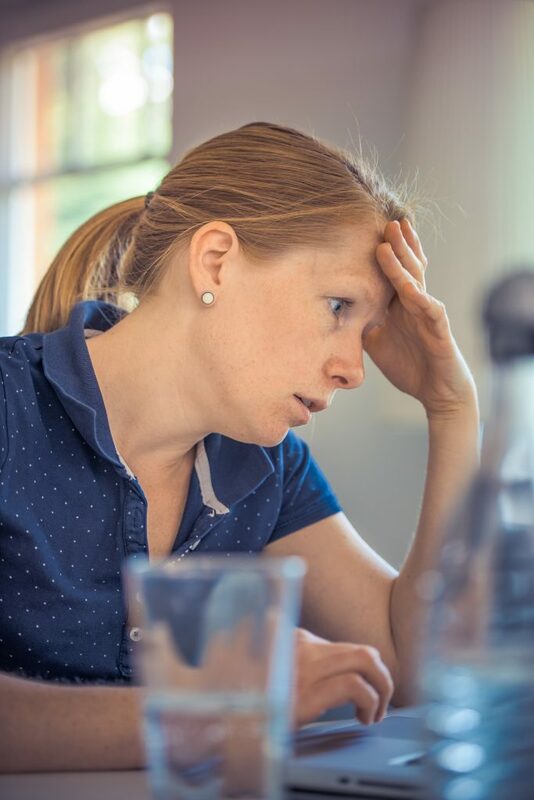 It is important to note that your employer must provide you with a W-2, and they are supposed to be sent out by January 31 of the year following when the wages were earned (so, for paychecks in 2018, employers should have sent out W-2 forms by January 31, 2019). If you haven’t received a W-2 by now, reach out to your employer (or former employer) and request a copy. So, in summary, while clarification on these boxes probably doesn’t help you better interpret your sarcastic friend’s words, hopefully, it will help you understand the perplexing W2 instructions. 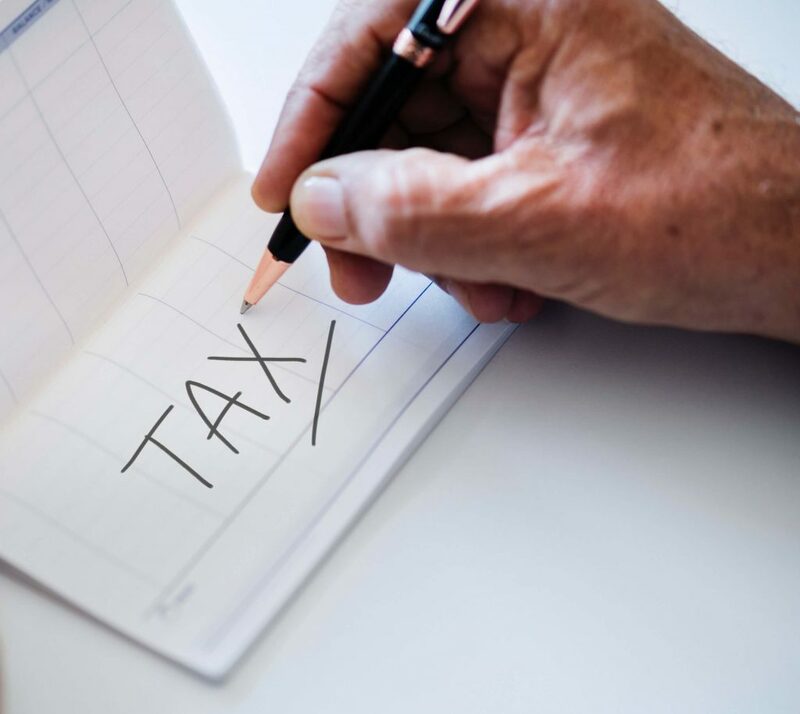 You might be on your own trying to analyze your friend, but remember that you don’t have to struggle alone when it comes to taxes—there are excellent tax professionals out there ready to guide you through the complicated tax-filing process.